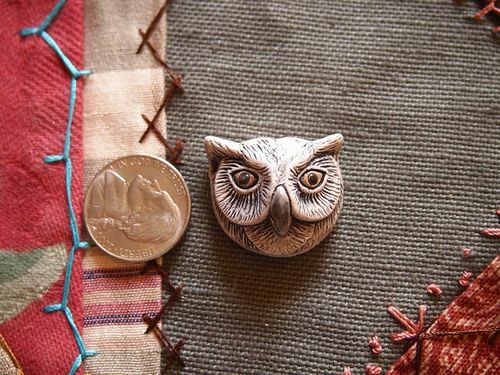 Porcelain ceramic owl head bead is nicely detailed to show feather detail. 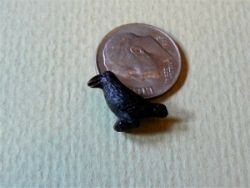 Glazed only on the eyes and beak, this fabulous bead would make a terrific focal point for a necklace. 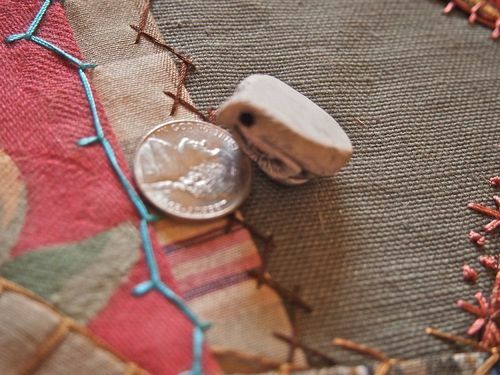 Great for all your bird and nest projects! 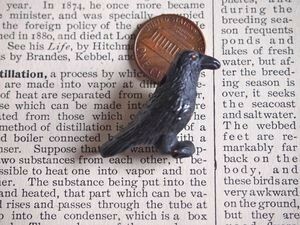 Imagine it as a head for a raven art doll! 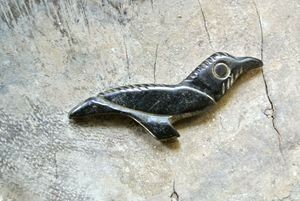 27mm wide by 24mm tall by 15mm thick, this pendant/bead has a flat, unglazed back and a generous 3mm hole that goes from ear to ear. 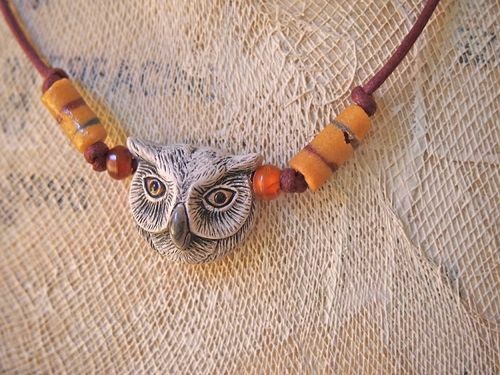 See the last picture for the necklace that I made this afternoon using this bead as a focal point!